We at 2yyy would like toannounce that in 2017 we will again be broadcasting the Young Cherrypickers games in the Group Nine Rugby League Competition. This broadcast has gone from strength to strength in the last couple of years. In 2016 the broadcast was extended to start at 1:30 pm on Sunday and we intend to continue this in 2017. Our great team of Steve Woolford, Ray Spring and Stuart Norton will again be on board. With the early start the boys organise interviews with local legends of the game and many other interesting people. We also do sideline interviews allowing on time and present a man of The Match Award every week to a Cherrypicker player win or lose. We also try and give results of all the Group Nine games and U16, U18, League Tag and Reserve Grade games. We will broadcast all the games from Alfred Oval and most away games. The only limitation to broadcasting the away games is lack of facilities at other locations. If we cannot do an away game we intend to take regular crosses to the studio of scores and results. 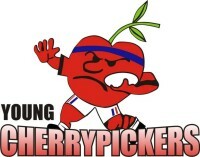 This the year the Cherrypickers have great new coach in James Woolford and besides having a lot of local talent at their disposal have brought well elsewhere including New Zealand. We will endeavour to be more proactive on this site and bring you all the club news in the coming months leading to the season and this includes list of signings and a feature on up and coming local players. Further to this we have a number of great sponsors for the call. Saying this we are always on the lookout for new sponsors at 2yyy and this broadcast would give your business great advertising. If you are interested please contact us on 0263827200 or email us at yyyradio@westnet.com.au.